We’re already talking about Hacking Contest in 2017? You bet! 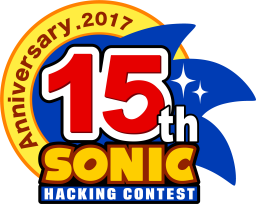 The Sonic Hacking Contest’s 15th anniversary is upon us all and they need your help in a big way! The early report brings about rule changes and new trophies are being introduced in next year’s contest. New rules are set to enact new “quality control” measures for entries to give a bigger focus on the technical achievement for entries with a lower focus on referential humor. New trophies are being made to address entries made for other platforms such as entries for handheld platforms with the Advance Trophy, 8-bit hacks with the Crystal Egg Trophy as well as introducing new trophies to be voted on by the community at large. You can read up on how you can get your entries ready by reading Spanner’s post on the forums that details the rule changes, trophy guidelines and more. But when does the contest start? You have nearly a whole year before the deadline which is set for Sunday the 8th of October. The contest week then goes between the 6th of November to the 12th. There is plenty of time before then, but don’t let it sneak up on you before you know it! The Hacking Contest for this year has concluded, and the results are in! Spanner a.k.a. SOTI has provided a write up on the forums for this year’s winners as well as some general thoughts on this year’s contest overall. You can read more information on the results on the Retro forums here. You can also hear reactions from the contest judges and see the winners in action on the Results Show hosted by MegaGWolf here. Hit the jump to see the winners for all the trophies of this year chosen by both contest judges and community members. The Sonic Hacking Contest 2016 is Live! The 2016 Sonic Hacking Contest site is live, with 54 different hacks and mods to download and play! No account is required to play or download any of the hacks, but make sure to sign in with your Sonic Retro or SSRG account to vote on the community trophies. Also check the schedule for near-round the clock streams from folks like SomeCallMeJohnny, MegaGWolf, RedHotSonic and many more! The deadline has passed and the results are in. Spanner on the Retro forums has revealed the 54 entries lined up for the Sonic Hacking Contest of 2016! Starting Monday, November 7th up to the Sunday the 13th, all finalized entries will be made downloadable and playable during that time! Expect more features including livestreams and more when the contest becomes open to the public. Hit the jump to check out the entry list for this year’s contest.